Rats are rodents that need to chew on things regularly to keep their teeth trimmed and healthy (because their teeth grow continuously throughout their life). Wood is a popular and natural choice for rat owners to provide to their pets but not all types of wood are safe. Before just grabbing that tree branch from your backyard or a chunk of wood from the local lumber yard, make sure that the wood you are offering your pet is safe, free of pesticides, untreated, and free of paint. Many kinds of wood on the safe list can be found in your yard, but if you aren't 100% sure on what it is, it is best not to give it to your rat. Other safe wood options for rats are available in pet stores. Woods marketed for chinchillas, and other rodents are usually safe to offer to your rat but make sure the type of wood is not on the toxic woods list before putting it in your rat's cage (just in case). The same goes for the material that hide boxes and cages are made out of (if they are made of wood). Any items in the cage are fair game for your rat's teeth to nibble on, so you want to make sure they are safe! 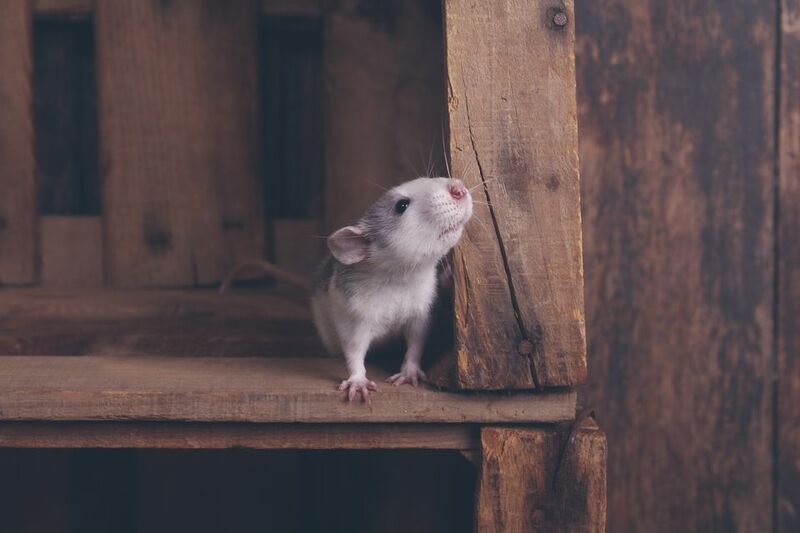 If you think your rat may have eaten a toxic wood, then contact your exotics vet as soon as possible. Different woods are more dangerous than others and affect your rat in different ways. It used to be common to house your pet rat on wood shavings, but we have learned that there are more comfortable and safer options for our pets. Aspen shavings are the safest of the wood shavings available at pet stores if you still must use them but you should avoid pine shavings. Cedar shavings are thought to be the most dangerous to rats so you should under no circumstances house your rat on cedar bedding. Besides the fumes and possible ingestion of toxic wood shavings, wood can be irritating to walk on. Rats may develop sores or small cuts on their feet and might itch due to the wood being irritating to their skin. Options such as recycled paper bedding (such as CareFresh) are preferred over wood shavings for their absorption qualities and softer texture.